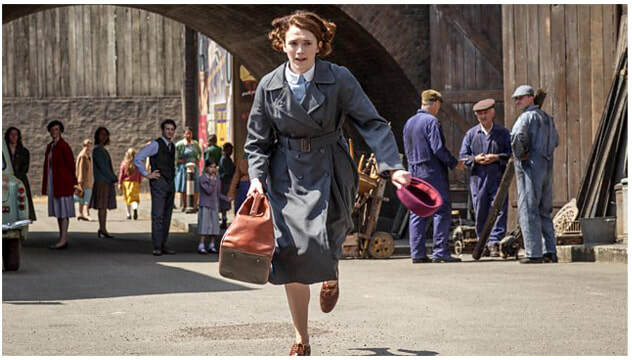 The opening episode sees newly qualified midwife Jenny Lee arriving at Nonnatus House. 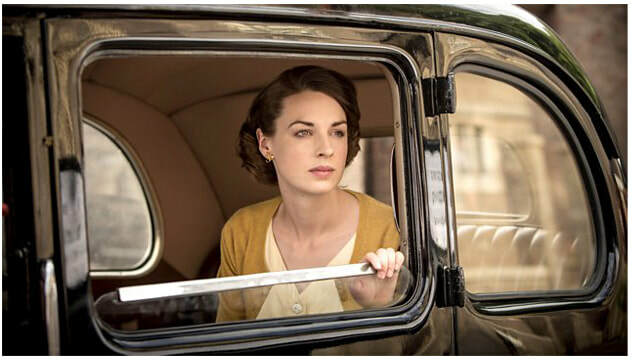 Believing she has been sent to a small private hospital, Jenny is initially surprised to find herself at a convent. 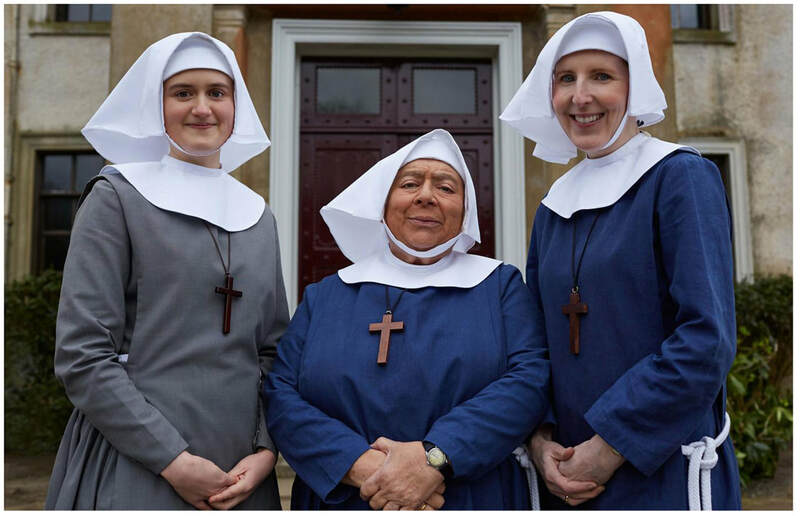 As the nuns and nurses go about their duties, Nonnatus House gains a new resident, Chummy, a welcome pair of hands to help with the busy caseload. Sister Evangelina, in a case of inverted snobbery, has littlepatience with her or with her passionate and somewhat lofty desire to become a missionary. 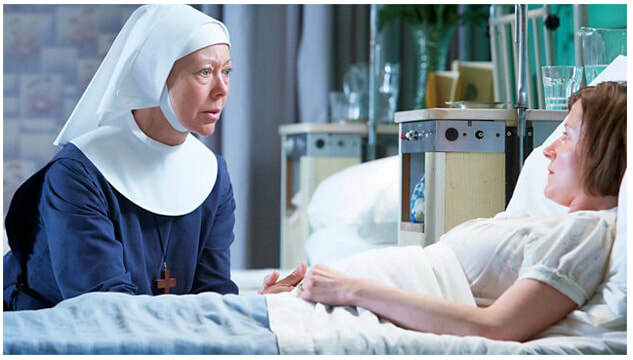 When Frank, the brother of Peggy, the cleaner at Nonnatus House, is diagnosed with cancer, Jenny and the nuns are called upon to provide him with care. In doing so, Jenny comes to know the siblings better, learning of their upbringing in a workhouse and the profound effect it has had on their relationship. Jenny who has now been working in the East End for some time, feels privileged to share such a precious part of these Poplar residents lives. In the final episode of Series 1 Sister Monica Joan is found wandering near the docks, and returned to Nonnatus House by the police. Her adventure takes its toll on her health and she succumbs to pneumonia. When she eventually recovers, she sails forth back into the community, only to find herself in trouble with the law when she is accused of theft. The Nonnatus community is rocked when the Kelly family's new born son dies tragically in unexplained circumstances. Cynthia, who had attended the birth, comes under intense scrutiny from the police and thepregnant women of Poplar. Jenny is seconded to the short-staffed London Hospital to work on the male surgical ward. Initially hesitant about her temporary assignment, she becomes increasingly reluctant about her new duties when she finds herself working under an intimidating surgeon, Mr Tracey. 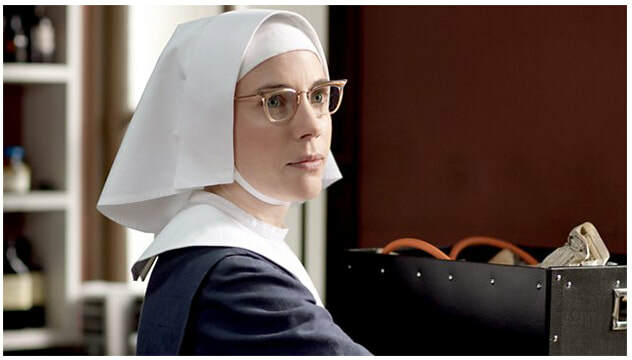 Returning from her stint at the London Hospital, Jenny needs all her skill as a midwife when she and Sister Evangelina assist at the birth of the Roberts' baby, who is born with spina bifida. In Episode 6 Dr Turner manages to get Poplar included in the mass X-ray screening programme for TB. Meanwhile, Jenny's district nursing rounds introduce her to a family who have been devastated by the disease. Cynthia's district nursing rounds find her administering daily insulin injections to diabetic John Lacey, a deplorable bully who consistently belittles his wife Annie. A visit from Annie's beloved son Bob, and moral support from Cynthia, see Annie gaining confidence and start to turn her life around. 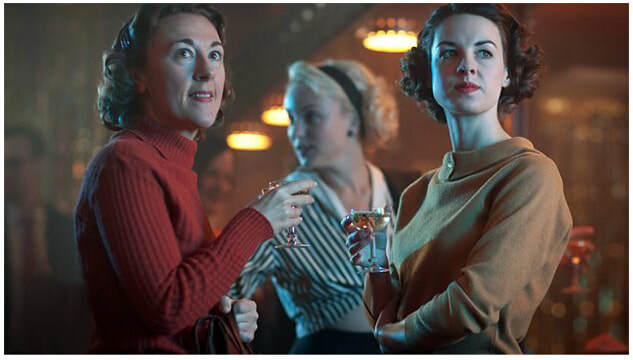 In the final episode of the series Chummy and Peter prepare to become parents, Fred has a visit from his daughter Dolly, who also has a baby on the way. 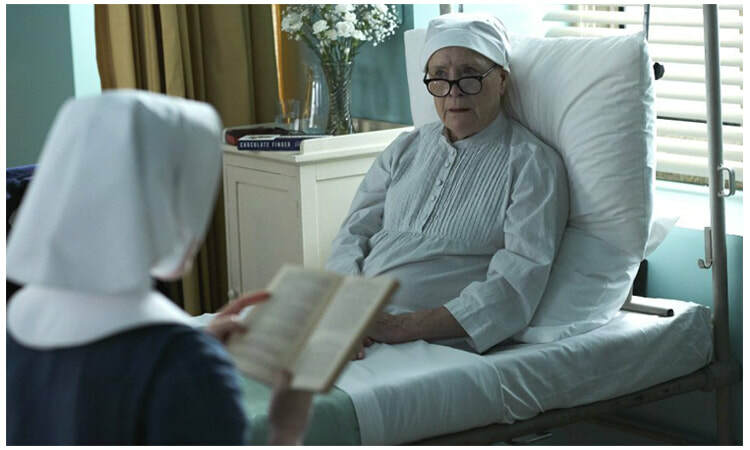 Meanwhile, Sister Bernadette faces her own difficult crossroads; to the delight of herfriends, particularly Dr Turner, her health crisis has passed and she will soon be free to leave the sanatorium. She must now decide whether her future lies within or outside the walls of Nonnatus House. As Jenny struggles to care for exhausted mother Merle Vickers and her two sickly sons, it is Sister Monica Joan who holds the key to the diagnosis of their mystery illness. Jenny is delighted to be promoted to acting sister, but she soon finds herself dealing with her most challenging case yet. Elsewhere, Cynthia spearheads a new birthing practice for the expectant mothers of Poplar, Sister Winifred puts her green-fingered skills to good use, and Chummy continues to juggle her work and home lives. 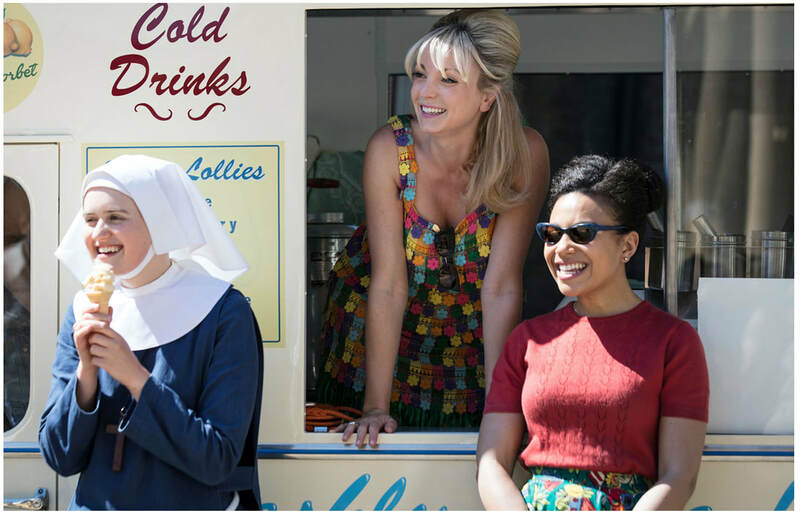 Sister Julienne and Trixie brace themselves for prison life when they are rostered to work at Holloway Prison. In Episode 3 Jenny's life is turned upside down when Alec has a terrible accident. 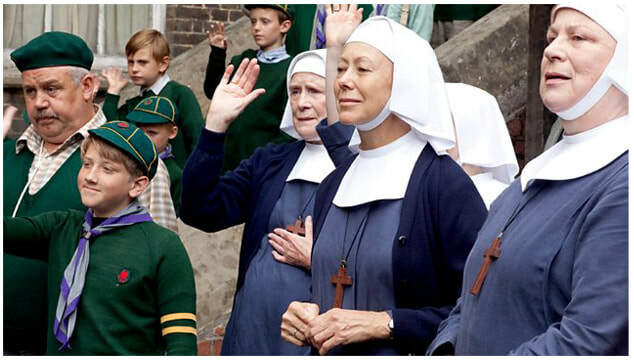 Sister Winifred helps a holocaust survivor bury the past and Shelagh decides to join the local choir. 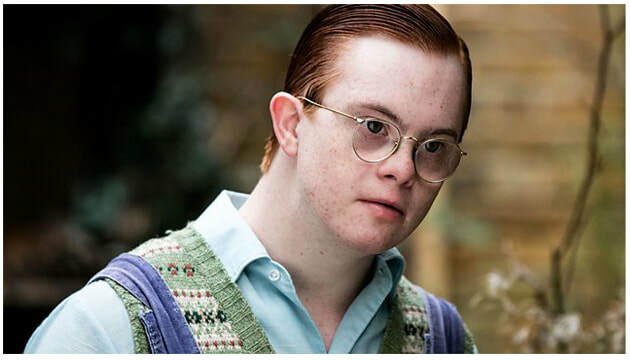 When a young woman with Down's syndrome is discovered pregnant, sinister circumstances are assumed. Meanwhile, as the nuns organise celebrations for Sister Evangelina's jubilee, Nonnatus House greets new midwife Patsy. Elsewhere, Timothy Turner takes his first steps without his callipers after catching Polio. Patsy's brusque manner lands her in trouble with the nuns and she is removed from midwifery duties. 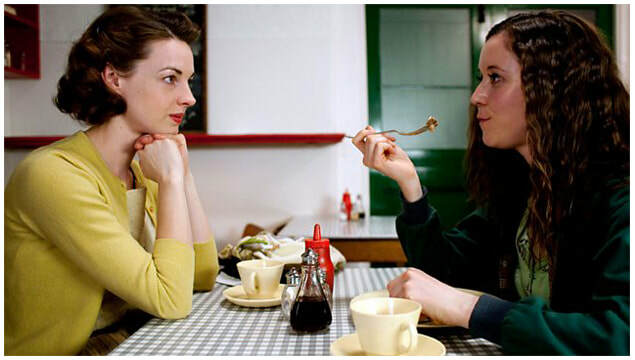 As Jenny returns to Nonnatus House, her encounter with nervous expectant mum Faye forces her to break the rules. 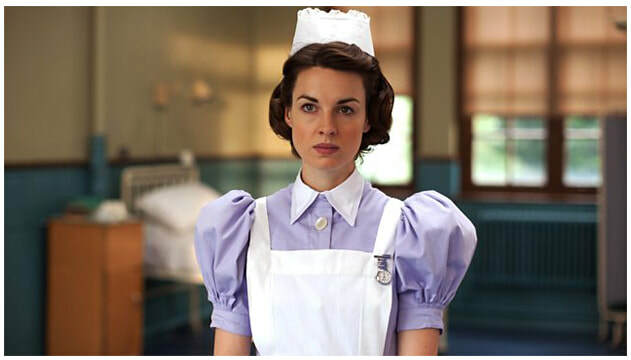 Chummy throws herself into preparations for her mother's visit, whilst Sister Julienne and Cynthia deal with acute mental illness in a newly delivered mother. Trixie undertakes her first official church duty since her engagement to Tom. Dr Turner's involvement in the case forces him to face his own demons. A young diabetic girl faces heartbreak when she falls pregnant as a result of a clandestine romance. 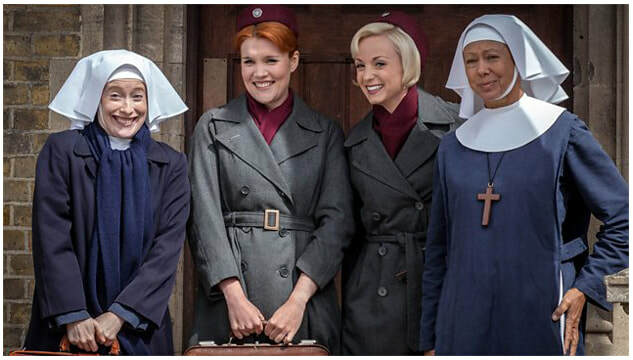 Elsewhere, the midwives become involved with a settlement of Irish Travellers and Sister Mary Cynthia delivers her first baby since becoming a nun. ​In the final episode of the series Trixie and Sister Mary Cynthia team up to support a deaf mother-to-be, while a case of morning sickness proves more serious than initially suspected. Elsewhere, Fred's daughter is less than delighted about his forthcoming wedding to Violet. Easter approaches, and for the nuns and midwives of Nonnatus House it's as busy as ever as babies are born to myriad families across the borough. One such delivery brings with it its own set of shocks, as Patsyhelps experienced mother Rhoda Mullucks give birth to a baby with severe deformities, with no clear explanation. Barbara experiences the biggest test of her career when a struggling dockworker's wife is forced into a difficult decision about her impending delivery. Nurse Crane meets a new friend who promises great adventure but conceals a secret. As the modern world begins to encroach on traditional Poplar life, everyone is starting to notice the changes. On secondment at a busy local hospital, Sister Julienne is impressed by the medical advances thatare saving the lives of mothers and babies. But a traumatic birth raises moral questions for her which she struggles to answer. With modern advances starting to change things for the better, even medical professionals like Dr Turner and Shelagh are forced to consider their own lifestyles. As they fight for better respiratory health for their patients, Timothy realises the risks his parents are running by continuing to smoke. Meanwhile, a back injury forces Violet to put her beloved shop in Fred's care, with unforeseen consequences. Shelagh and Timothy secretly organise to take Dr Turner on a long-overdue family camping holiday, but a freak summer thunderstorm threatens to dampen their enthusiasm. Despite their best efforts, the holiday is cut short when Dr Turner realises his patients are at risk from the locum GP working in his absence. The midwives receive a rapturous and warm welcome home from their South African adventure but all is not well at Nonnatus House. In their absence, Sister Ursula has been running a very tight ship and it isquickly announced that she will remain in charge at Nonnatus House, above Sister Julienne. Barmaid Valerie Dyer's quick thinking catches Shelagh's attention when they are first on hand to deal with the casualties at the dock fire. Shelagh is appalled by the general lack of basic health and safety in the docks and strives to make a difference to the men that work there. Dr Turner and Shelagh also share the happy news of Shelagh's pregnancy with their children. Sister Ursula has her own anxieties about the efficiency of Nonnatus House, so she introduces a new 20-minute rule for all antenatal and postnatal house visits. Meanwhile, Sister Monica Joan has started disappearing for long periods of time and there are growing concerns for Sister Mary Cynthia's whereabouts. Nonnatus House welcomes a new recruit, Nurse Valerie Dyer. A vulnerable young man captures Fred and Violet's hearts. Lucille is on duty when Valerie’s family friend Marjory goes into labour. Marjory’s mother Mae is sceptical about Lucille’s ability, but is proved wrong when she competently delivers the baby. However, when Marjory’s health takes an unexpected turn for the worse, Mae’s prejudice and racism causes her to blame Lucille. Shelagh gets a little more than she bargained for when their glamorous Hungarian Au Pair arrives. There was more heartbreak for Nurse Trixie as she pleaded with Christopher to return to his wife. An emotional Trixie was seen returning to alcohol to cope with yet another painful break-up. Sister Julienne and Dr Turner are convinced Sister Monica Joan needs cataract surgery, but before having the first consultation she must acknowledge that her vision is impaired. 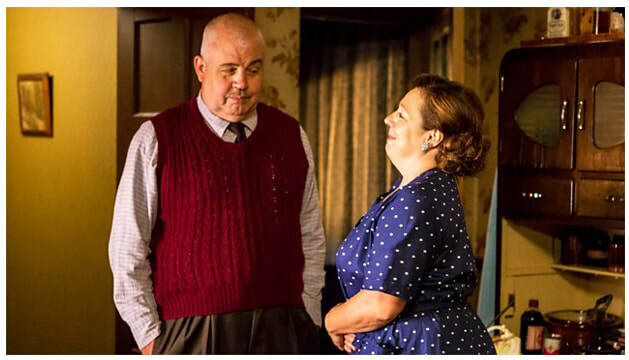 At clinic, Lucille meets a woman with pica - but this is no ordinary craving, as Mrs Campbell cannot stop eating coal. Trixie goes to stay with her godmother, Violet and Fred organise a picnic for the parish, and Tom and Barbara return home. Episode 7 sees heart breaking scenes, Nurse Barbara was seen contracting meningitis, which soon developed into fatal sepsis - leaving her bed bound, pale and covered in a harsh rash. 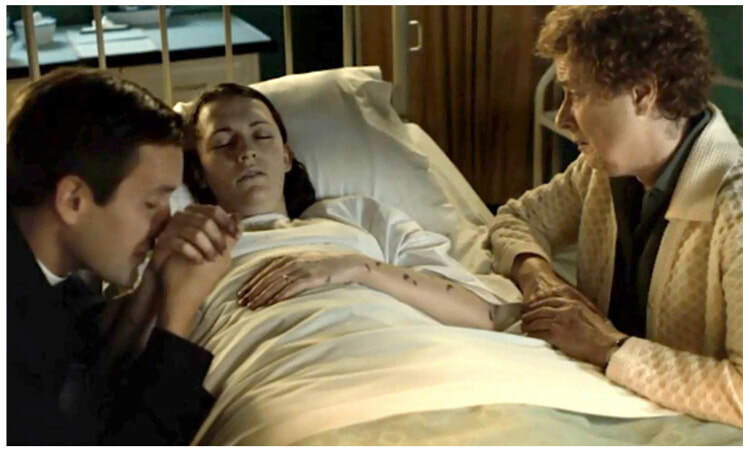 Lying lifelessly in her bed, just two weeks after her return to Poplar, her reverend husband Tom is seen giving her one last kiss, while her best friend Phyllis Crane looks on, through tears as Barbara passes away. In the Final Episode of Series 7 birthday girl Sister Monica Joan (Judy Parfitt) watches with delight and surprise (and sometimes with sorrow), images from her long life are projected up on the cinema screen. Crowded in to the auditorium are Sister Winifred, Val, Phyllis, Sister Julienne, Violet, Tom, Fred, Dr Turner, Shelagh, Lucille and the elderly nun’s many friends and neighbours, all in one place to celebrate together. But – through the power of projection! They are also joined by Chummy, Barbara and even Trixie. 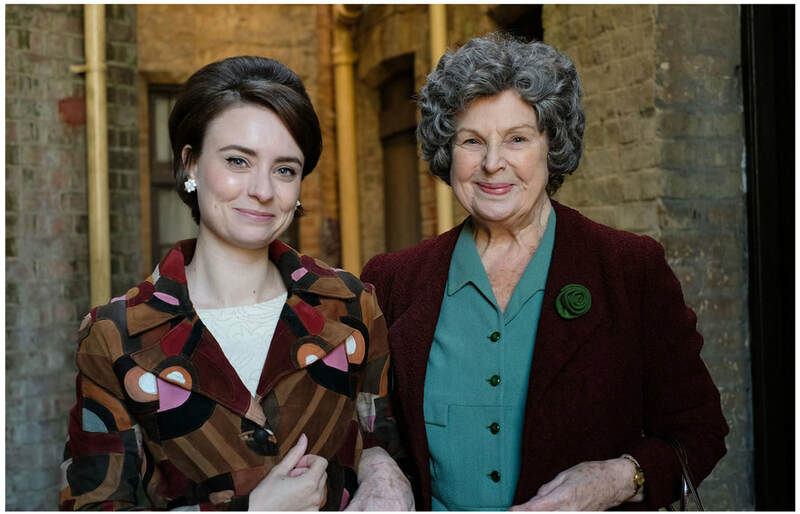 The slideshow features photographs of everyone’s favourite Barbara (Charlotte Ritchie), whose recent death is deeply felt at Nonnatus House. 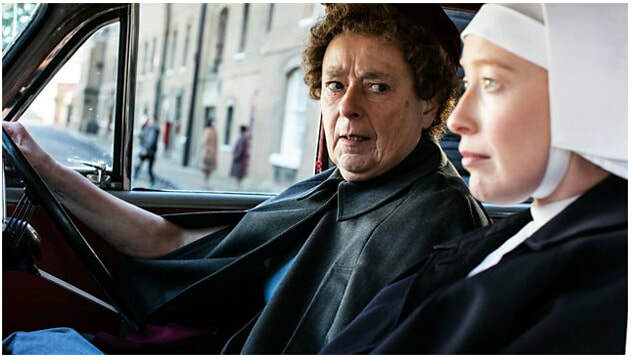 ​As two new nuns join Nonnatus House, a shocking case exposes the seedier side of Poplar, while a complicated birth tests Trixie and Phyllis. Violet runs for election as a councillor, Lucille befriends an elderly woman facing eviction, and Sister Hilda supports a Ghanaian family suffering from a mysterious illness. A young bride-to-be suffers an identity crisis after the diagnosis of a hidden condition, an expectant father is diagnosed with a rare condition himself, and romance is in the air for Lucille. Infidelity leads to a painful diagnosis for a pregnant wife. Sister Frances faces her first solo delivery. The Turners prepare to say goodbye to May. Nurse Dyer uncovers a dark secret about her grandmother. Nurse Dyer's grandmother faces legal consequences for performing abortions. A couple deal with a baby on the way and a daughter with Hodgkin's. The Turners get welcome news about May.